Crowdfunding has been one of the most popular ways to establish a new business or startups. Many entrepreneurs and creative people are fond of this method because they don’t have to prepare the large capital from their own to implement their new ideas. 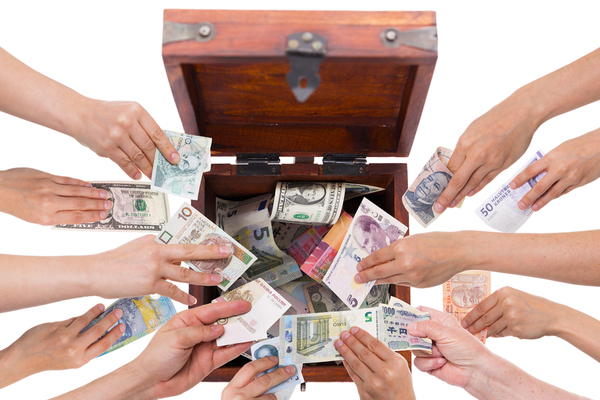 Crowdfunding is a method of raising capital by encouraging the connections to contribute in collective procurement. The connections here can be your friends, family, relatives, customers, colleagues, or investors. This method focuses on the collective procurement which is promoted through social media and crowdfunding platforms. These will spread the words about the new project quickly and effectively. When a startup uses the crowdfunding platforms, they are able to expand their project for further reach and worldwide exposure. Experts and online marketers admit that crowdfunding has become a great option to fund the business in many sectors. No matter what kind of your business, you will likely have the bigger chance to raise your capital from crowdfunding approach. As mentioned, your project will be introduced to the world. That means you can take the advantage of the crowdfunding platform to raise the fund from all people over the world. You don’t need to hesitate to share your project and ideas with them. No matter what scale off your project, you and your team will really have the chance to get targeted audiences, supporters, followers, as well as customers when your project is launched. It is a great way to launch your business since you already know that many people are fond of your business ideas. That means you have determined your market segment even before launching your business. Because of that nature, it imposes fewer risks than another type of fundraising. This will also ease you to think wisely and manage your business without financial pressure. It also gives you the chance to engage with your participants in your business launches. In the meantime, you could also receive their feedbacks and spot the rooms for improvement in your business niche. When you are open like this, many will not hesitate to share their ideas. The good thing here is that you don’t even need to hire a business consultant to spot the weakness of your business. Instead, the supporters of your project will be your best consultant. Often in many cases, some of the supporters have certain level expertise that you can use to tweak your business aspects. They will love to give their opinions and feedbacks. The next thing you know is that you already make an ample project even before it is launched. A successful crowdfunding will mostly utter a successful new business.